As young British Tourists continue to take Holidays on the Greek Islands, Greek Bar Owners continue to poison them with methanol alcohol. Today details were released concerning another ill-fated Greek Holiday by nine Brits in their 20’s. Seven of the nine British Tourists who ended their trip to Greece in hospitals fighting for their life were travelling together from Coventry, West Midlands. The other two victims were unrelated, they all became acquaintances through the shared experience of being poisoned by the bar owners in Laganas. The party strip in Laganas is lined with bars and clubs attracting revelers who are on vacation. Just recently 17 British Teens spent their vacation at the Greek Hospitals being treated for methanol poisoning after drinking a few drinks each. This modus operandi is becoming all too familiar, drink at the clubs and bars in Laganas and risk your health and life. Even the tour operators who are booking these trips for young British Tourists are now issuing warnings according to Jack Taylor, a business student who was one of the seven traveling together. In a comment to The Sun Online, Jack told that they were warned to avoid certain bars, he said they heeded the warning and avoided those bars, yet they still ended the party in Greek Hospitals being treated for methanol alcohol poisoning. Party boats like this one are popular on the Greek Islands. Alcohol served all over the country has been suspect. “We were taken to the hospital and all of us ended up in UK hospitals afterwards. It could have killed us.” , Mr. Taylor relayed. All the victims had a violent reaction to ingesting methanol alcohol which can lead to blindness, kidney shutdown, liver damage, paralysis and death. The treated alcohol poisoning victims from the group of seven experienced extreme vomiting, blurred vision and fatigue. The eight-victim hospitalized at the same time as the group of 7, was Lauren Blair, 22, a teaching assistant from Birmingham. Ms. Blair suffered a more serious fate from her alcohol poisoning at the hands of the unscrupulous Greek Bar Owners seeking higher profit margins at the expense of tourists by serving methanol alcohol in place of authentic brands of alcoholic beverages. Ms. Blair suffered faded vision as well as a ruptured stomach from the severe vomiting. After stints in two Greek Hospitals, she returned to continue treatment at a UK Hospital. Lauren told The Sun, “I was so frightened. I thought I was going to die.” Although there are immediate reactions to methanol poisoning from dodgy booze, there are also long-term repercussions. Nerve and organ damage can occur from methanol poisoning and may not immediately be evident. The ninth victim travelling in a group of eleven unrelated to the 7 from Coventry and Lauren Blair from Birmingham, was James Rambukpitiya, who has already been diagnosed with liver damage from ingesting the poisonous booze served to him during his Greek Holiday by ruthless bar owners. The extent of the problem on these Greek Party Islands is hard to measure. Most tourists, especially British Tourists, choose these Islands specifically to partake in wild parties. Sadly, Binge Drinking has become almost a sport for the young who Holiday on the Greek Islands. Some may awake after a night of drinking exhibiting all the symptoms of methanol poisoning and attribute it to excessive drinking. It is certain that the Greek Authorities, and the Tour Operators who book travel to the Greek Islands for young Brits are aware of the extent of the problem and fail to react in an appropriate manner. The 17 teens poisoned by the bar owners of Greece last month, whose story was told in early August, are not the first and now we see are not the last to be systematically poisoned by Greek businessmen in pursuit of quick, excess profits made from serving dodgy booze. In early August 2018, in reaction to the published story in The Sun concerning the poisoning of the 17 teens, Greece announced a crackdown on the bars and clubs of the tourist hotspots in search of methanol alcohol. Days later an announcement was made stating that the Police had confiscated 300 liters of dodgy booze from a handful of clubs and bars. The fake liquor seized in 60-Liter plastic containers were hand labelled as “vodka”, “gin”, “rum”, and other mixed drinks known on the islands as “bombes”. This is a good start, it however did not save the latest nine from suffering the deleterious effects of being poisoned by dodgy booze. This recent story of the British 9, the recent Story of the British 17, joins other known incidents in Greece. There is the case of 20-year-old Hannah Powell, who became blind and suffered severe kidney damage after a night of clubbing on Laganas. The death of Valerie Jones, a 54-year-old Mother who died from alcohol poisoning after consuming wine on the Greek Island of Santorini. Without a doubt these stories are not islands in Greece. The preponderance of evidence that serving fake alcohol to tourists while on Holiday in Greece continues to add up. The fact that Tour Operators are warning clients about drinking in Greek Islands is a sign that they know that there is dodgy booze. If they are aware of that fact, they should feel compelled to point their clients to other destinations instead of sending them on a Holiday where their health and life are at risk. The fact that hotel staff knows to call for ambulances when their guests are sickened after a night of drinking is a hint that they are also aware that what was ingested was not normal alcoholic beverages. The fact that Doctors in Greece are prepared to treat methanol poisoning victims instantaneously points to their experience in this area. The fact that on a single night a Police raid can confiscate 300 liters of suspected methanol laced beverages from a handful of bars and clubs is a hint that dodgy booze is not an aberration, but rather business as usual in the Greek Islands. Saving lives and protecting the health of others is everyone’s business. To continue to gather the evidence SafeProof.org asks readers to tell us your Greek Holiday Story. If you, a friend, a relative, have had a firsthand experience with what you suspect was poison alcohol, we want to know. Report any illicit alcohol activity to us using our secure form or by calling (833) SAFE-TIP. If you have witnessed what you suspect to be fake alcohol activity in the Greek Islands and throughout Greece, we want to hear your story. Report any illicit alcohol activity to us using our secure form or by calling (833) SAFE-TIP. If you work for, deliver to or have access to the bars and clubs in Greece, and have an experience concerning methanol laced alcohol, tell us your story. Report any illicit alcohol activity to us using our secure form or by calling (833) SAFE-TIP. 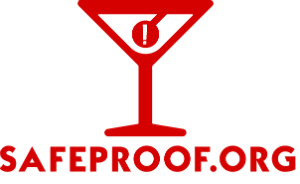 If you are a law enforcement, code official, or hold any position of authority in connection with the bars and clubs that are poisoning tourists in Greece, we want to hear your story. Report any illicit alcohol activity to us using our secure form or by calling (833) SAFE-TIP. If you are an ambulance driver or attendant, a hospital worker, a nurse, a doctor, we need you to tell us the truth about the amount of alcohol poisoning cases you see every day. Report any illicit alcohol activity to us using our secure form or by calling (833) SAFE-TIP.